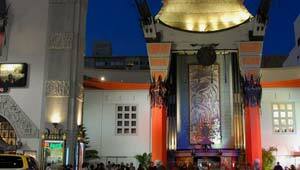 Grauman’s Chinese Theatre is the most famous cinema in Hollywood. Despite being built in 1927, to this day it is still the home of many of the Hollywood premieres and crowds gather all around the old cinema when they take place. 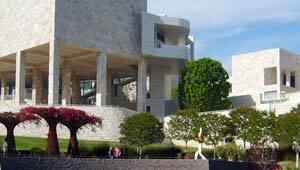 The Getty Center is a must-see attraction in LA. It’s an oasis of calm which sits high up on a hill with stunning views of Bel Air and downtown Los Angeles. It’s basically an art gallery and café and along with the Getty Villa in Malibu, the two sites form the Getty Museum. The modern art is impressive and there are several galleries in several buildings to see packed with European paintings, sculpture, manuscripts, decorative arts, and photographs. 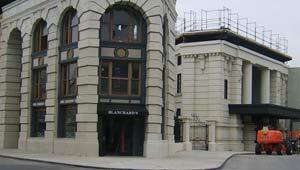 We think the Warner Brothers VIP Tour is the best genuine studio tour you can do. There are no roller-coasters or 3D screens, just the opportunity to go behind-the-scenes at a genuine working movie studio. There’s loads to see but we found the most impressive thing of all is the chance to see the “back lots” where wooden fake streets are adapted for each movie scene they want to shoot there. When we visited, one back-lot street was being converted for the next movie which was fascinating to see. Erected in 1923, the Hollywood Sign is one of those tourist attractions everyone wants to see, but it isn’t actually open to the public and you can’t actually get to it. Instead, you’ll have to settle for hiking on foot or in our case, we simply wanted a photo as close as we could get in a car. 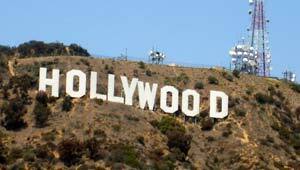 We think the closest place to get to in a car is Canyon Lake Drive which is near the Hollywood Reservoir. 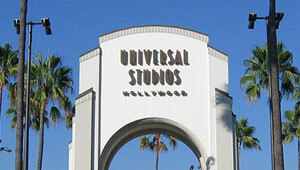 Universal Studios is basically a theme park with rides and attractions, but the twist is that the “Studio Tour” part does actually take you through the working studios and the “backlot”. You’ll see the outside set for Desperate Housewives, the town square used in “Back to the Future”, and the plane crash set from “War of the Worlds”.